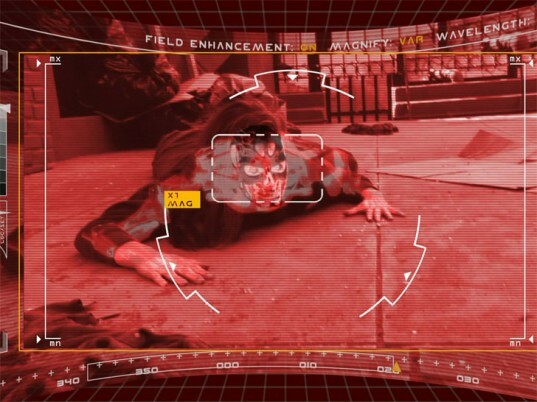 Live data that streams directly before your eyes à la The Terminator sounds like the stuff of science fiction, but researchers are thisclose to making it a reality. In a study published in the December 2011 issue of the Journal of Micromechanics and Microengineering, University of Washington researchers demonstrated the safety of such a device by testing it in the eye of a rabbit. Although the prototype contained only a pixel of information, which appears as a tiny dot of light, scientists say it’s a proof of concept that could lead to superimposed emails and other messages in your line of sight. Talk about hands-free communication. Developed through a partnership with Aalto University in Finland, the “bionic” contact uses metal circuits only a few nanometers thick, or roughly one-thousandth the width of a human hair. An on-lens antenna draws radio-frequency radiation from an external source before transferring the energy to the integrated circuit for storage. The lens then transmits the information to a transparent sapphire chip that contains a single micro-LED, just one-third of a millimeter in diameter. 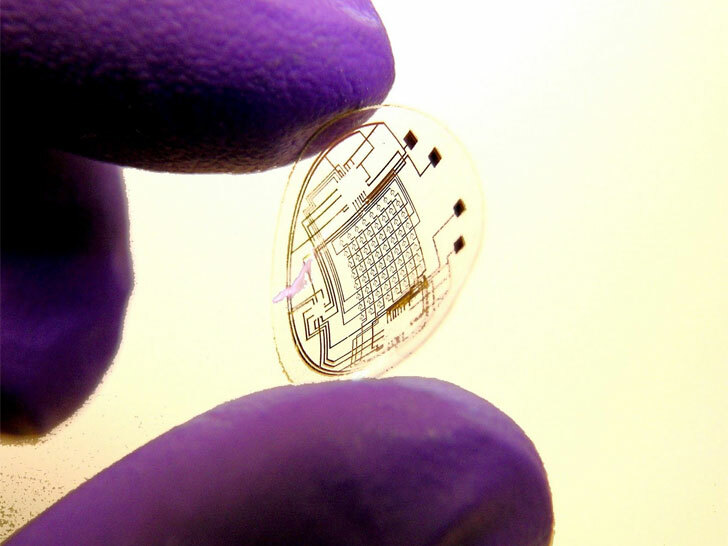 The “bionic” contact uses metal circuits only a few nanometers thick, or one-thousandth the width of a human hair. The researchers faced more than their share of hurdles, however. The human eye, with its minimum focal distance of several centimeters, cannot resolve objects on a contact lens, which means the team had to incorporate a series of micrometer-scale Fresnel lenses—multi-part lenses first used in lighthouses—to help focus the images. If successful, the lens could receive data from external platforms like cellphones and provide real-time notifications of important events. As contact-lens-based biosensors become more advanced, it could even monitor physiological anomalies like a diabetic patient’s glucose level. Let’s hope Skynet isn’t listening. Live data that streams directly before your eyes � la The Terminator sounds like the stuff of science fiction, but researchers are thisclose to making it a reality. In a study published in the December 2011 issue of the Journal of Micromechanics and Microengineering, University of Washington researchers demonstrated the safety of such a device by testing it in the eye of a rabbit. Although the prototype contained only a pixel of information, which appears as a tiny dot of light, scientists say it's a proof of concept that could lead to superimposed emails and other messages in your line of sight. Talk about hands-free communication.